Over the last week, I’ve been working my south to the southernmost part of Argentina. After visiting the wildlife preserve near Puerto Madryn, I hopped on three buses over the course of 36 hours and landed in Ushuaia. Along the way, I met a friend from Switzerland with whom I’ve been traveling. On my first day in Ushuaia, I found a trail out the back of the town that leads straight up into the mountains. Casual hikers can take a taxi for the first 7 km and then hop a chairlift that unloads near the top of the trail. I hiked the route in its entirety, making for a 12 mile hike. Since Ushuaia’s supporting isle, Tierra del Fuego, is home to hundreds of thousands of sheep, I was craving lamb for dinner. After the long hike, the Swiss girl, Olivia, and I made an amazing lamb and salad dinner. 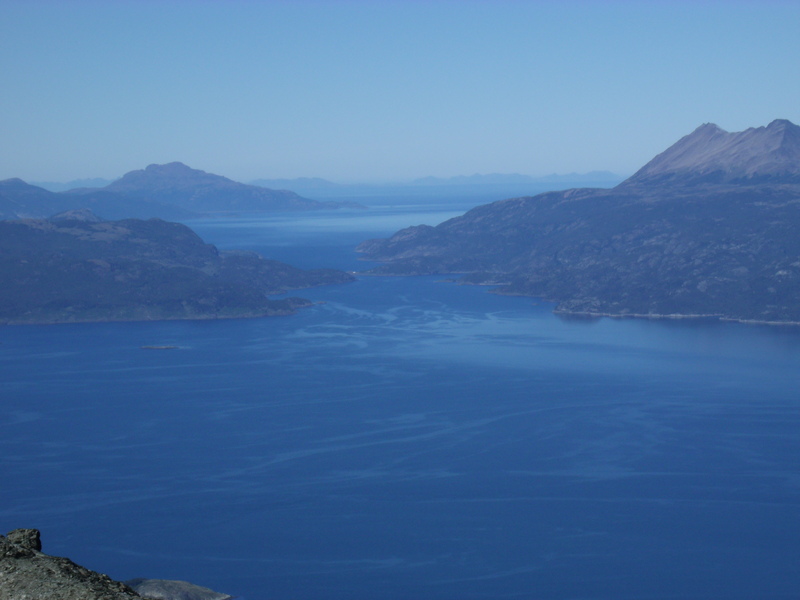 The following day, we bussed to Tierra del Fuego National Park to hike the Cerro Guanaco Trail. The hike turned into one of the toughest I have ever done – covering roughly 3 miles and ascending 3000 feet. The trek provided diverse scenery, starting in a dark forest beside a green lake. The trail then climbed steeply for a few hundred feet before the trees cleared enough to offer a view of the lake. Then, the trail turned to high mountain grassland where the snowmelt created a muddy minefield to navigate. After tuning all our clothes brown, the trail then began traversing a ridge of loose shale rock. Thankfully, the trail was well worn eliminating much possibility of slipping on the rock. After three tough hours, we reached a breath-taking summit – a 360 degree view of the Beagle Channel and Tierra del Fuego National Park. After finishing the trek, we ran to the bus stop just in time to get a ride directly to our hostel. Too tired to cook, we dined on hamburgers at the local Irish Pub before tackling our last loose ends in Ushuaia. Now I’m back on a bus. I’m headed to Puerto Natales for a night before tacking the “W” trail in Torres del Paine National Park in Chile. After a week of going off the grid, I’ll be back to post pictures of one of the world’s great parks.